Get even more versatility and tone-shaping with this updated gem. Your Walrus Audio Deep Six compressor has been updated in all the right places for top notch tone and playability. The Deep Six is a true-bypass, studio-grade compressor in stomp box form, inspired by the performance of the Universal Audio 1176 with the simplicity of the Ross and Dynacomp. Offering a Level, Sustain, Attack, and Blend control, the Deep Six will give you unmatched versatility at a price you can afford. Polarity will never be an issue as the Deep Six comes standard with a polarity correction circuit. The internal voltage is doubled to 18 volts, giving you the maximum amount of headroom for your sound while maintaining a typical current draw of 8.9mA. 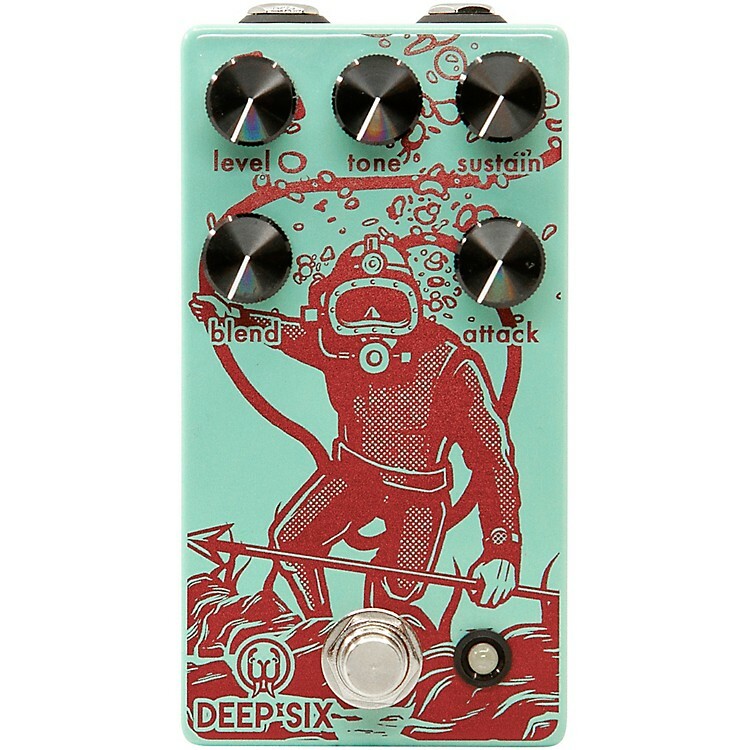 The Deep Six also offers a Blend and Attack control which allows you to use the pedal with active pickups or humbuckers. The blend feature allows you to use high-output instruments while truly being able to dial out any distortion that may be present.